QLUSTER are Hans-Joachim Roedelius, Onnen Bock and Armin Metz. 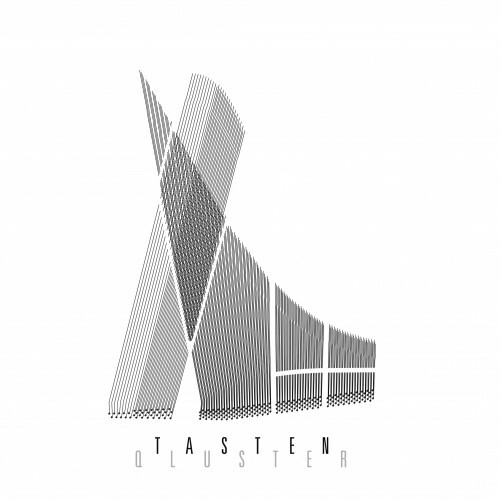 “Tasten” is their fifth album. The trio explores the musical depths of three Steinway concert grands to their fullest potential. Spherical sounds of three overlapping instruments, complete with gentle tones and little melodies, sporadically culminating in impulsive sonic storms. A wonderful piece of “neo-classical” music by three masters of their art. “Tasten” can conceivably be described as the successor to the 2012 album “Antworten”, on which grand pianos also played a similarly significant role. Whilst “Antworten” featured singing bowls, “Tasten” is exclusively a piano work, one which sees the instrument used at times in unconventional, percussive ways, its strings plucked or stroked.